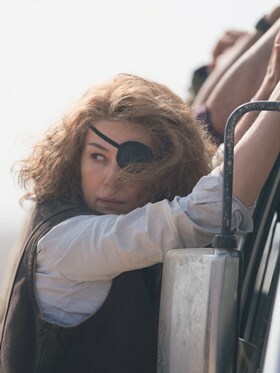 Award winning documentary filmmaker Matthew Heineman (Cartel Land, City of Ghosts) makes an impressive dramatic debut with this biopic of Marie Colvin, one of the most celebrated war correspondents of our time. A striking figure, recognised by the eye patch she wore for an injury following a grenade attack, Colvin’s fearless spirit drove her to the frontline of conflicts across the globe, sacrificing her safety to capture the human cost of war inflicted on the ‘people who have no voice’. Starring Rosamund Pike as Colvin and Jamie Dornan as renowned war photographer Paul Conroy, A Private War follows the two embarking on the most dangerous assignment of their lives in the besieged Syrian city of Homs.